To toast or not to toast… People seem so passionate about the topic when it comes to bagels. Murray’s Bagels is notorious for not even offering the option to toast. The good news for those who prefer toasted, Brooklyn Bagel only two blocks north in Chelsea is a great alternative and leaves the option to toast or not toast to the diner. Me? 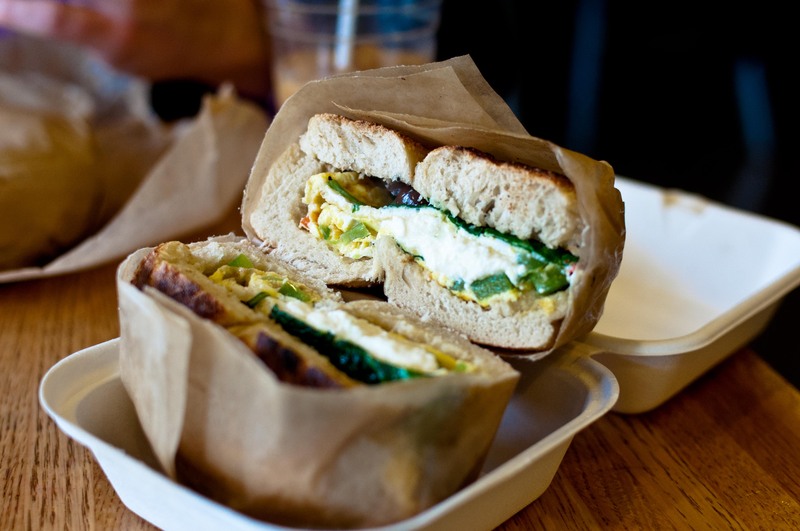 I only prefer toasted when eating bagel egg sandwiches like the Chelsea below – toasted plain bagel with eggs, feta, spinach and kalamata olives. Otherwise, why toast a perfectly delicious freshly made bagel?